Yoga is an ancient physical and spiritual practice that has become a part of the western mainstream culture. A regular practice of Yoga has many physical, emotional and spiritual benefits. A Yogic workout is also quite easy to customize to a particular group of people. Since a regular practice is so beneficial and easy to modify in order to accommodate different flexibility and strength levels, Yoga training has become one of the most popular offerings in the fitness industry today. Many health clubs offer at least a few Yoga classes per week, if not per day. This popularity makes Yoga much more accessible to the general public and also creates many positions for certified Yoga instructors in gyms, spas and health clubs. Many people around the world are practicing Yogic techniques to counteract physical health problems and stress. Some of the physical benefits of Yogic methods are increased muscular strength and flexibility, better sleep patterns and decreased blood pressure. Yogic methodology also supports and increases good circulation throughout the entire body. Students report having more energy, less joint and muscle pain and greater flexibility. This practice also encourages positive thinking and the reduction of stressful thoughts. The fitness industry is very accepting of Yogic exercise as a great way to increase strength, flexibility, cardiovascular health and lower stress. There are currently many different types of classes being taught in the fitness industry. Some styles are based on classical posture sequences, while other styles are newer and have been adapted to accommodate today’s fitness enthusiast. No matter what your current level of fitness is, there is a class that will be accessible to you. Classes range in intensity from pre-natal and restorative classes, all the way to two-hour power routines held in very hot, heated rooms. Of course, the growing awareness of the many benefits of Yoga in both the fitness industry and the public at large has greatly increased the demand for certified instructors. If you are currently working in the fitness industry, and you would like to become a certified Yoga instructor, there are many training programs available to you. 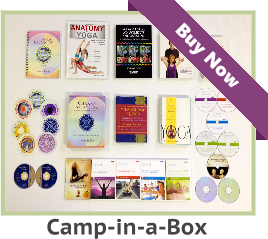 Some of the training programs are held at retreat centers, local Yoga schools, health clubs, and online. Depending on your level of interest, you can choose a basic 200 hour yoga teacher training, or you can study more in-depth for a 500 hour professional instructor certification. With the demand for more classes rising, there will be many positions available for certified instructors in the fitness industry when you complete your training. 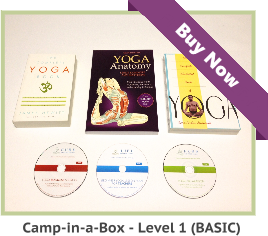 See our selection of online yoga teacher training courses. See our testimonials to find out what our graduates have to say about our selection of online yoga and meditation certification courses. See videos, demonstrations, and lectures related to affordable yoga teacher training courses and specialized continuing education programs. 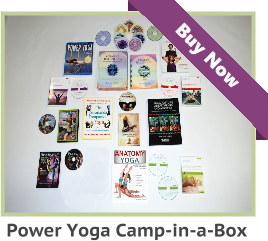 Yoga training has become one of the most popular offerings in the fitness industry today. Thank you very much Kimaya Singh for writing this informative article.